The story of Keith Winsor, our Cyclist of the Month, is an inspirational account of how a man who became a cyclist by chance ended up with a passion for cycling far beyond most other riders. Unlike many keen cyclists Keith did not grow up with a passion for cycling. Instead his passion was sparked by a stroke of luck. Keith spent over a decade representing Australia in the Royal Australian Air Force with involvement in Iraq, Afghanistan and East Timor. However, it was an assignment in London in 2005 which would give Keith his first taste of cycling. A friend of Keith’s was participating in a local triathlon event and Keith went along for support. As Keith was hanging around the event area he noticed a competition to win a Specialized Comp Road Bike. With nothing to lose he decided to put his name down for the competition. As you may have guessed Keith left the event as the lucky winner of a brand new road bike. Unfortunately, the streets of London weren’t designed for road racing and Keith didn’t enjoy the hobby which had been imposed on him by luck. He hung up the bike after two rides. Later that year Keith landed back in Canberra. With the unsuccessful flirt with cycling still fresh in mind he remained an unlikely cyclist. However, Keith’s good mate Col convinced him the streets of Canberra were different to the streets of London, and took him east, west, north and south of Canberra. Col was right and Keith’s love affair with cycling was sparked. Soon, Keith was hitting up the local bunch rides, from slow, to medium, to the quick group. As his passion grew he even started participating in criterium racing at the Mount Stromlo course in Canberra. Keith was not only passionate about cycling, he was also pretty good at it. Within a short timeframe Keith had achieved some wins and places throughout the grades and even won a road race during the winter season. In 2011 Keith moved to the Sydney suburb of Dulwich Hill and joined the Dulwich Hill Bicycle Club. Joining a club only made his involvement with the cycling community even stronger. 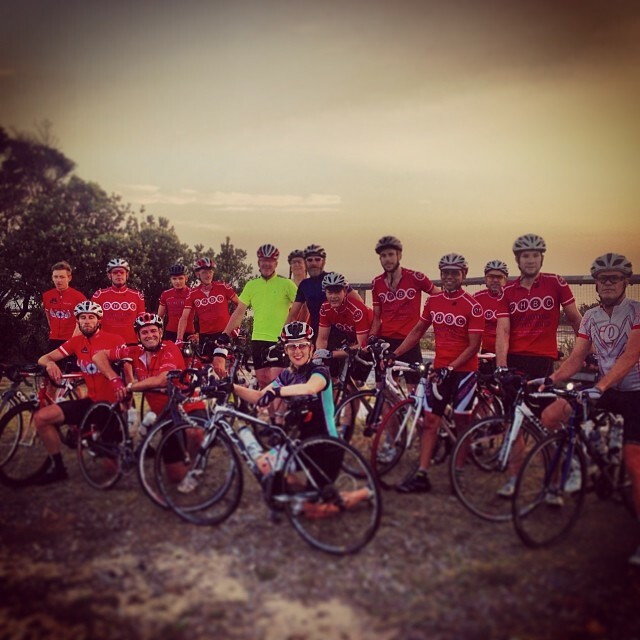 Keith quickly became involved in the club’s group rides and fund raising activities. 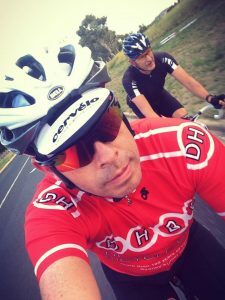 In recent years, Keith has helped create opportunities for cyclists through his role as Assistant Manager with the Dulwich Hill Racing Team. This is a volunteer role to help build a team from scratch, giving local Sydney riders an opportunity to race and ride against the top tier cyclists in this country via the National Road Series. 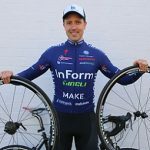 He’s also been involved in setting up track carnivals at Dulwich Hill Bicycle Club for junior riders, “ensuring the young kids don’t miss out”. Moreover, Keith’s efforts in fundraising are nothing short of impressive. Through a number of joint efforts in group fundraising activities he’s been involved in raising almost $70,000 for charitable cycling events such as The Ride to Conquer Cancer and The Hartly Lifecare Challenge. 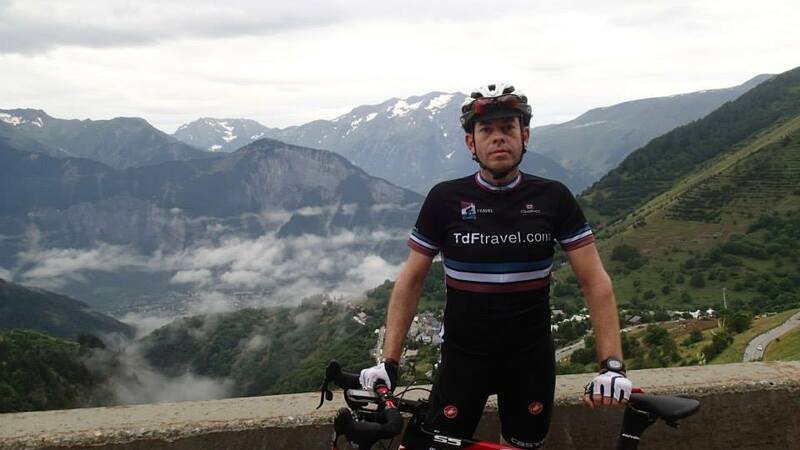 Keith’s passion for cycling comes from giving back to the sport he has fallen in love with: “It’s the social aspect of cycling that I love, making some great friends along the way. We all have our ups and downs in life, and I know every time I get on a bike, it’s going to wash any problems away.” Well said Keith.